As a business student turned pre-med graduate, my career was abruptly ended in 2014 due to a diagnosis. I was diagnosed with Multiple Sclerosis which led me down the path to essential oils as a natural alternative to medication. These positive changes prompted the culmination of Loil Life and my mission to encourage others to live LOILY to their bodies and its natural processes. Loil Life is an organic bath and body care company that infuses our products with essential oils + herbs. We let the herbs and oils meld together for months before blending them into our products. We believe that to provide you with the purest, untainted products our ingredients should be familiar, and our products should not contain preservatives. Without preservatives our products remain pure + truly natural. Heather Crenshaw loves essential oils for their health benefits. She also has a passion for creating jewelry, and loves gemstones for their beneficial healing properties. She found a way to combine the two and in June of 2017, she created Love N’ Lava Designs. This local artist creates essential oil diffuser jewelry, to be used for aromatherapy. Each bracelet incorporates all natural black lava rock, which can be used to diffuse essential oils due to the porous nature of lava rocks. 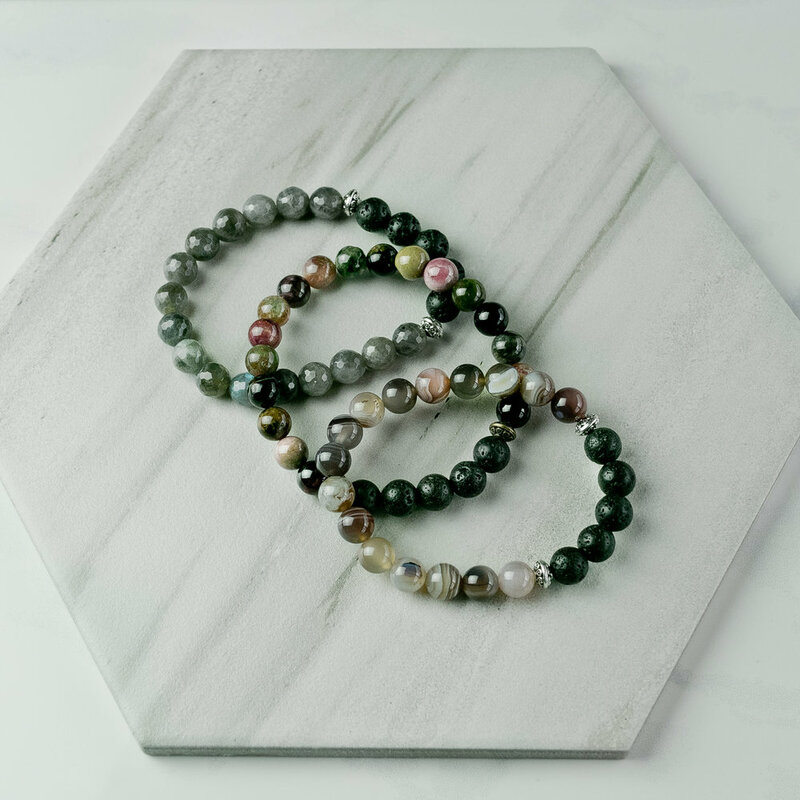 She only uses high-quality, natural gemstones to create her bracelets and takes the time to label each bracelet with the beneficial properties of each gemstone used. She has recently added handcrafted lava bead necklaces and earrings to her collection! Join our newsletter for all the latest news, events, and annoucements from Local Trade AZ! Thank you! We will keep you in the loop so you can keep it local!